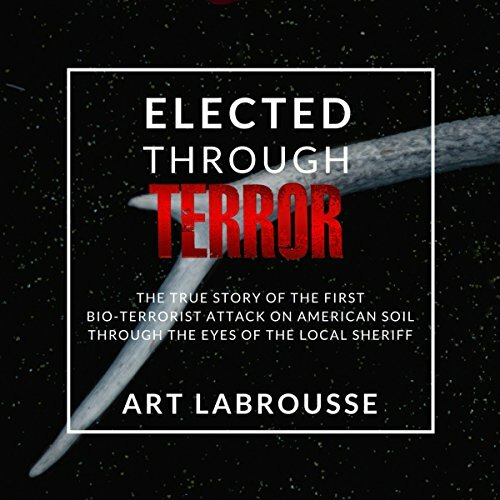 Showing results by narrator "Steven Labrousse"
On November 2nd, 1984, Art Labrousse was elected sheriff of Wasco County in what would become one of the most controversial elections in modern US history. With the first bioterrorist attacks on American soil, Elected Through Terror tells the story of a small group of people desperate to hold on to law and order in a troubling time. These people were willing to give up everything to keep their way of life. What they did not know would cost them dearly. Learn the truth firsthand from a trusted source.